Hill Head Croft, a 200 year old former croft cottage is situated on a promontory high above Loch Ness at Inverfarigaig, a picturesque, rural scattering of homes in typical Highland countryside half way down the south side of the loch. 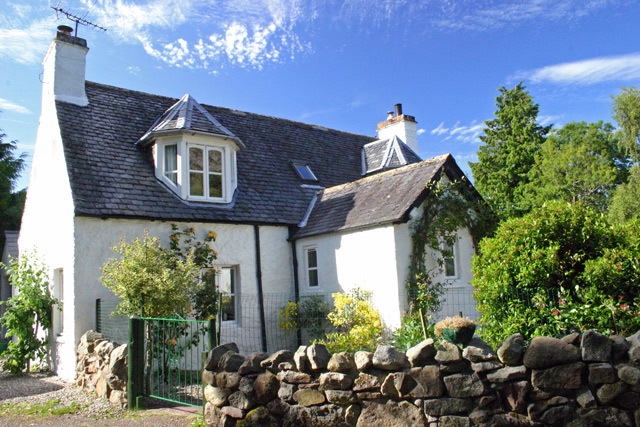 It is a picture postcard cottage full of charm and character, much of which has been retained during the modernisation process from the original croft house. All who stay here will fall in love with both the cottage and the location in the tiny village community of Inverfarigaig. An ancient hill fort with commanding views of Loch Ness forms the backdrop for the village, an imposing buttress rising up out of the surrounding slopes of the Great Glen, which in turn contains the waters of this magical loch. There are several routes on foot down to the shores of Loch Ness from Hill Head Croft to rarely visited beaches. There is even a secret sandy beach known only to locals and occasional exploring visitors, which you may discover during a holiday here. 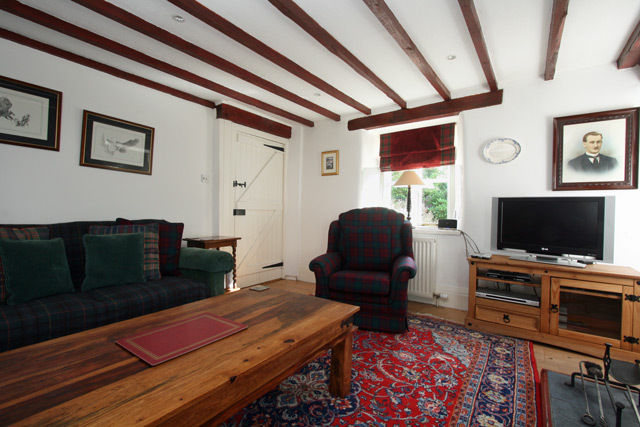 The rooms are spacious and tastefully furnished to make this a very pleasing cottage in which to spend a holiday. There is a real log fire in the lounge, brilliant for keeping you snug throughout the year. 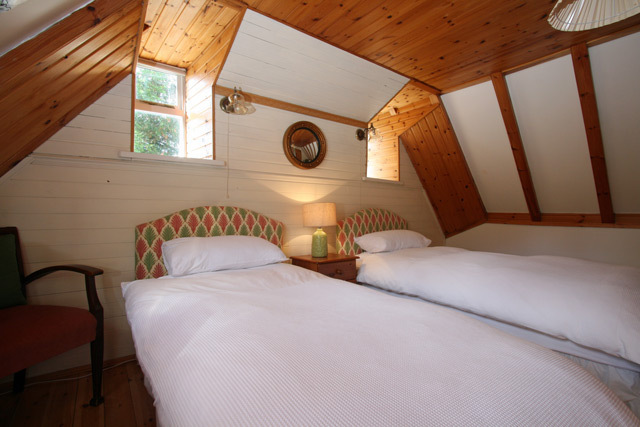 Pet owners will prick up their ears now because the owners will make pets welcome and as Wilderness Cottages has always specialised in pet friendly cottages, this cottage is an exceptionally good choice for those of you that wouldn't dream of leaving your dog behind. From your doorstep, there are lots of walks through the Farigaig forest and down to the lochside and of course, the log fire is perfect for when Rover returns from a walk or swim and needs to dry off. 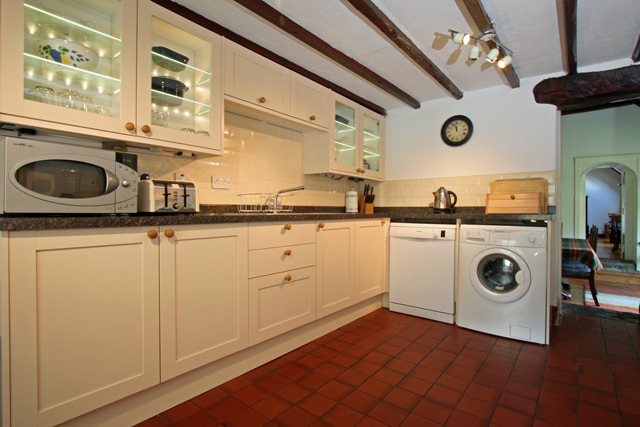 Kitchen includes electric range cooker, fridge and freezer, dishwasher, microwave, washing machine and tumble dryer, all the usual small appliances for your convenience. Lounge with a wood burning stove. Freeview TV, DVD, CD and radio. 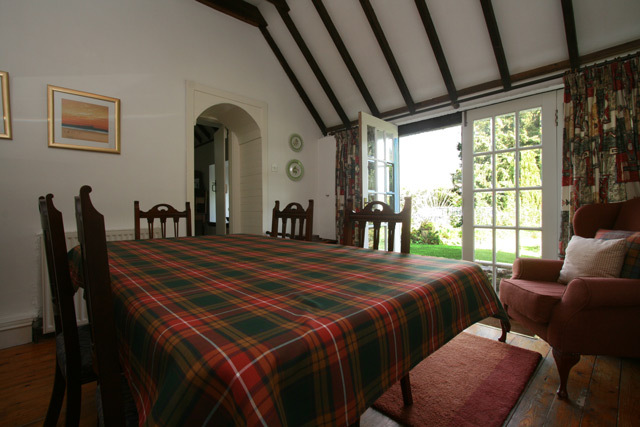 Separate dining room furnished with six dining places and access to the garden. Kingsize bedroom with en-suite shower and direct access to the garden. Twin bedroom with en-suite shower. 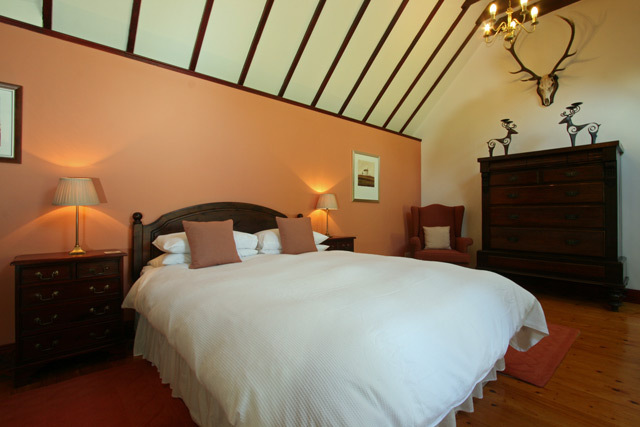 Bed linen, with quality feather duvets and pillows for your comfort, towels are not supplied but are available at an extra charge of £5.00 per set. Electricity, oil central heating, initial fuel for the fire. Fenced garden with garden furniture and barbecue. Two pets are welcome at the property. A Good Housekeeping Deposit of £75.00 is required. A beautiful cottage in a lovely location. As a family we have come to the Scottish Highlands for over 40 years staying in many locations and can honestly say this is one of the top three cottages we have stayed at. It was very roomy, 3 bedrooms each en-suite and the bedrooms were massive with plenty of storage in each. The kitchen was well laid out with everything you would need for a perfect stay. The only negative is I cannot stay there permanently as it is now on the market to sell, and if I had the money I would purchase without delay. We had a wonderful holiday in Hill Head Croft. It was in immaculate order throughout. We were a family of 6 adults and there was plenty of room and the garden is a real bonus especially for our dog Grenson who loved being out there. The area is quite spectacular and we wore ourselves out walking the hills and forests and cycling every day. Cameron's farm shop and cafe is an absolute must with it's warm welcome and great food. It's a beautiful walk from the Croft and a visit to Foyers falls is close by. This holiday (Summer 2015) was our third summer in a row at Hillhead Croft. On our first visit in 2013 we knew that this was a very special place (house and location). One that we would wish to return to many times in years to come and that was reconfirmed in 2015. We stayed at HHC 10-17 May 2014 and had a fantastic week. The croft is beautiful in every way, we could not fault anything at all. 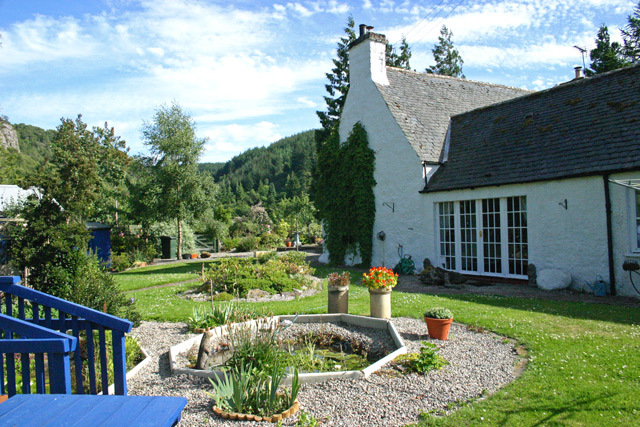 The locations is superb with lovely walks all around and just a short distance from the Loch. We have family in the area and would definitely stay again at this property without hesitation. Thank you! The MacNeil Clan. Hill Head Croft was a great place to stay. Fantastic views and walks right from the door. Very comfortable, well equipped and the log burner and Aga provided extra cosiness with a mixed bag of weather in April. Enclosed garden fab for the dogs, and we all enjoyed finding the secret beach. We explored a lot of the Highlands and the Isle of Skye and saw wild deer, red kites, goats and lots of my favourite Highland Cattle. Missed out on seeing the elusive red squirrel ... but we'll be back! This was an ideal property for us. The lay out of the bedrooms was brilliant, as one couple with their children slept upstairs, the the other couple slept downstairs well away from the noisy children!! 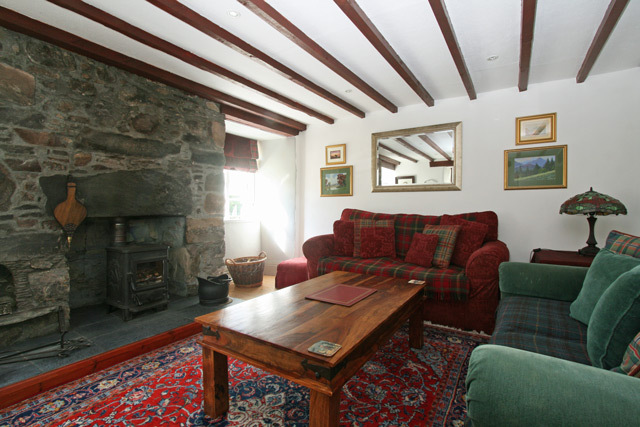 The cottage is very well presented and spacious. The children and the dog loved the garden. 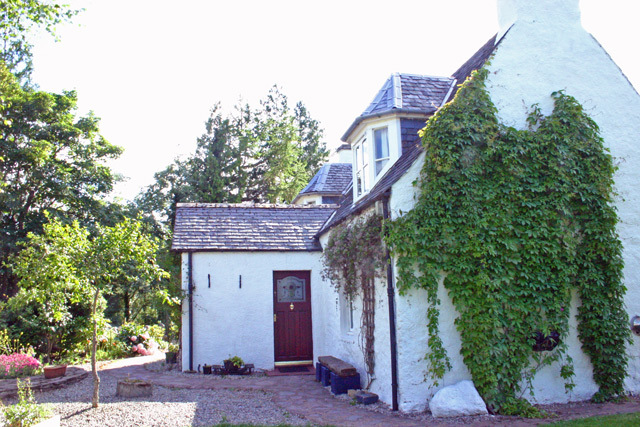 The cottage is in a very good location, approx half way up the Loch Ness, with fantastic walks on the door step. I would give this property 10/10. Hill Head Croft was a very comfortable retreat for our week's holiday and the garden and views were beautiful. 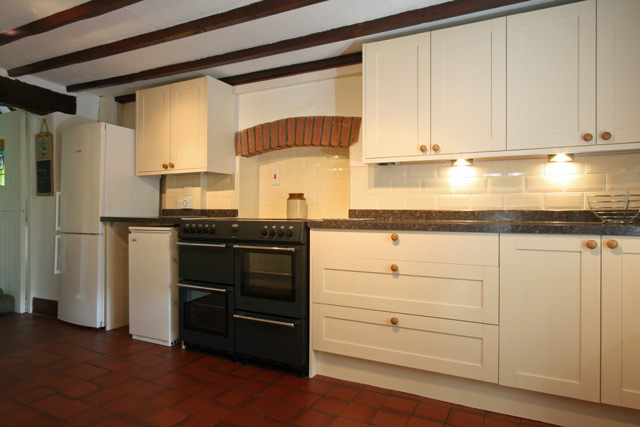 There was plenty of space in the cottage for us all and the aga in the spacious kitchen was a godsend! Sadly the weather was diabolical so we weren't able to take advantage of the pretty garden but we had some amazing walks in spite of the weather and the Dores Inn was not too far away for us to enjoy its super atmosphere and wonderful food. This part of Scotland is so beautiful. Wonderful location did not want to return home to Cornwall. Peaceful well equiped cottage, loved the Aga. Scottish people very friendly. Scenery stunning. Whisky tasting very worthwhile. Meal out at the "Lovat" Fort Augustas" was superb. We have just returned from a week's holiday in Hill Head Croft. After a long 13 hour drive from the deep south - it was well worth the effort! Hill Head Croft was exactly as presented by Wilderness Cottages - only better! There were no disappointments, just awe and delight at the comfortable and well presented home in which we found ourselves for the week.For a restful, relaxing holiday - we could do no better! I wish I could live in this cottage, its a great place to stay. Everything was as described and the master bedroom was magnificent. The first morning we woke to find a deer in the garden which was lovely. I would just point out that there is a large pond in the garden, its not deep but could prove a problem for young children. The steps to the upstairs of the house are very steep and again could be dangerous for kids. 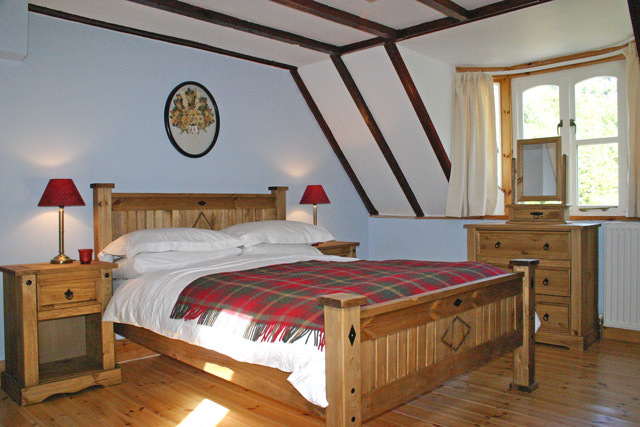 This was our 7th time with Wilderness cottages, all have surpassed excellence. The welcome was wonderful and we almost feel like locals so many people recognised us and had us around for coffee and joined us on our walks. Thank you Corrine for facilitating these little trips of peace. We are already looking for our next trip! Wow... we were only there for 5 days although we had it booked for the week. It was so lovely, it was a shame we couldnt stay the remaining couple of days. We stayed mid March and were the lucky so-and-sos who got the heavy snow. WONDERFUL. Waking up to find the whole place under a blanket of snow - a walk down to the Loch and throwing snowballs - couldnt have written the script better myself. 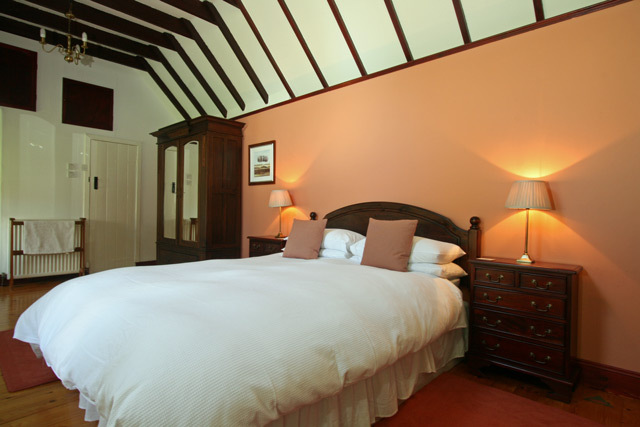 The cottage was delightful - 3 double rooms (one twin) for 3 couples, all with en suite, it was perfect for the six of us. The kitchen Aga cooker and Lounge wood burning stove made it so cosy in the cold evenings, perfect with a bottle of wine (or two). Ideal location for access for Inverness to the north, Fort William & Ben Nevis to the south and lots more in-between. The local hotel and pub resturants were all lovely and value for money and we were made to feel welcome just about everywhere. Make sure you try the corkscrew... if you have the nerve. Doing it in a seven-seater was not the easiest drive, but we made it.. much to the amusement of a few local highland coos. Loch Ness was lovely and I thoroughly recommend a boat trip from The Clansman Hotel down to Urquart Castle and back. All in all a fantastic few days and one that I would seriously consider doing again. Didnt see Nessie though... perhaps it was a bit too cold for her!